When will be My Two Dads next episode air date? Is My Two Dads renewed or cancelled? Where to countdown My Two Dads air dates? Is My Two Dads worth watching? Joey and Michael, who fought over the same woman 13 years ago now have, upon her death, been awarded joint custody of her daughter - who might be either of theirs. So how do the men settle their problems? With a paternity test? No way. Instead, they all move in together to raise Nicole as a two-dad nuclear family. Under the watchful eye of the family court judge, dads and daughter adjust to their new situation. 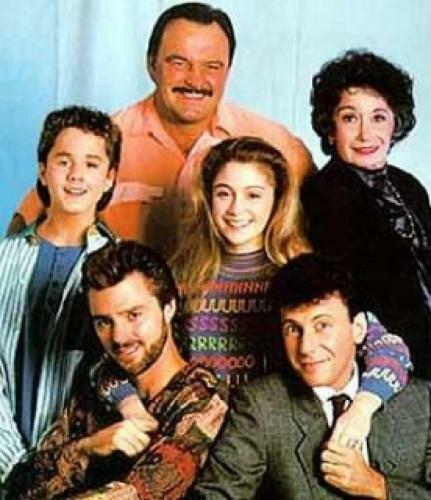 My Two Dads next episode air date provides TVMaze for you. EpisoDate.com is your TV show guide to Countdown My Two Dads Episode Air Dates and to stay in touch with My Two Dads next episode Air Date and your others favorite TV Shows. Add the shows you like to a "Watchlist" and let the site take it from there.